i have got one which seems to have a combined adding machine . 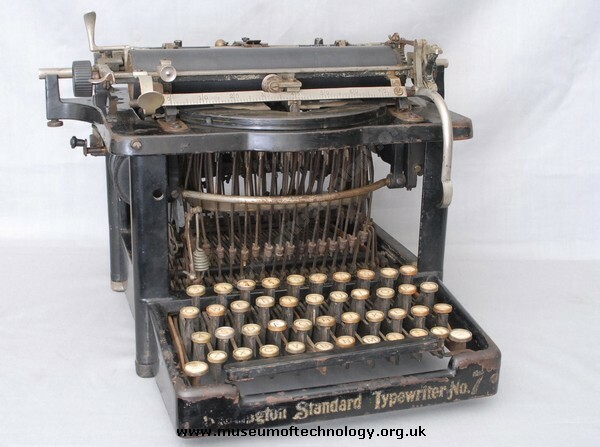 I have a similar Remington No 7 typewriter which was in use by my grandfather up until the 1950s. He used it for correspondence. Yours seems to lack a plate at the top, bearing the Remington name. I am interested to know how unusual this model is - we have it on permanent display as a 'curiosity' in our lounge and it is a magnet for all young children who are fascinated by how it works. Perhaps we should wrap it up in cotton wool?